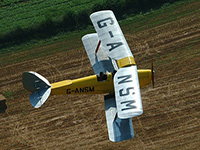 Looking for a taste of a Tiger Moth? 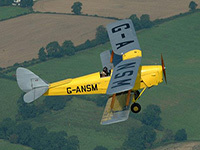 Give the most incredible gift - a chance to be part of our aviation history - a flight in a classic Tiger Moth bi-plane. Make someone's dreams come true today! 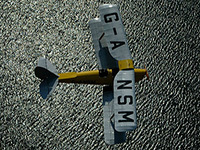 Experience and capture forever your own tiny piece of British history ! 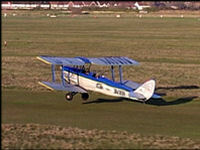 45 minutes, with 15 minutes in the air. 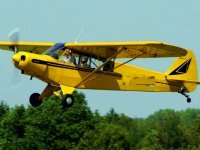 Come and experience a real grass roots flying experience in our freshly restored ex-military Super Cub. 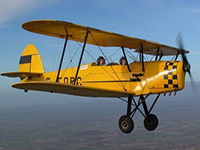 With high wings this is the perfect vintage training aeroplane with panoramic views of the beautiful Sussex downs and coast. 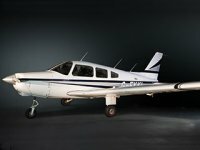 1 hour, with 40 minutes in the air. 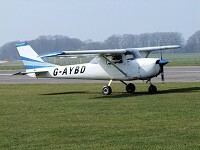 Get a great introduction to flying with a 3 hour introductory package with the 'Friendly Experts'. 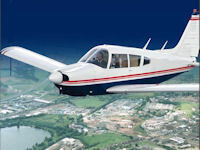 All the hours count towards the Private Pilot's Licence (PPL) course. 4 hours, with 3 hours in the air.